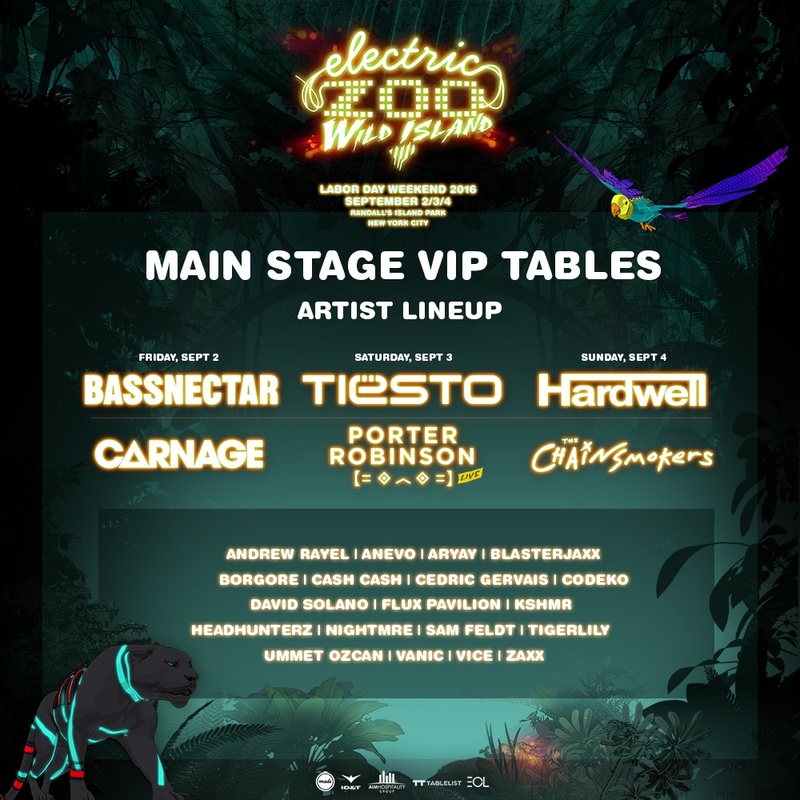 As NYC’s leader in event production and nightlife, Tablelist was chosen by Electric Zoo to provide a top notch experience for VIP festival goers, including the most exclusive VIP area at the festival with premium views of the main stage featuring headlining artists Bassnectar, Tiesto, Hardwell, Carnage, Porter Robinson, The Chainsmokers and many more. The VIP area will include 30 VIP tables for bottle service, 10 premium 1st tier tables, 10 premium 2nd tier tables, and 10 high tops for Friday, Saturday and Sunday. Guests can choose between Silver, Gold, Platinum and Diamond packages, which include VIP wristbands, alcohol, water, Red Bull and private entrance. For VIP area guests, enjoy a full cash bar, air conditioned rest rooms, extra space to sit or dance, and a private entrance to beat the crowds. Additionally, Tablelist will integrate directly with the Electric Zoo website and provide a simple platform to view, select, and purchase all available options. 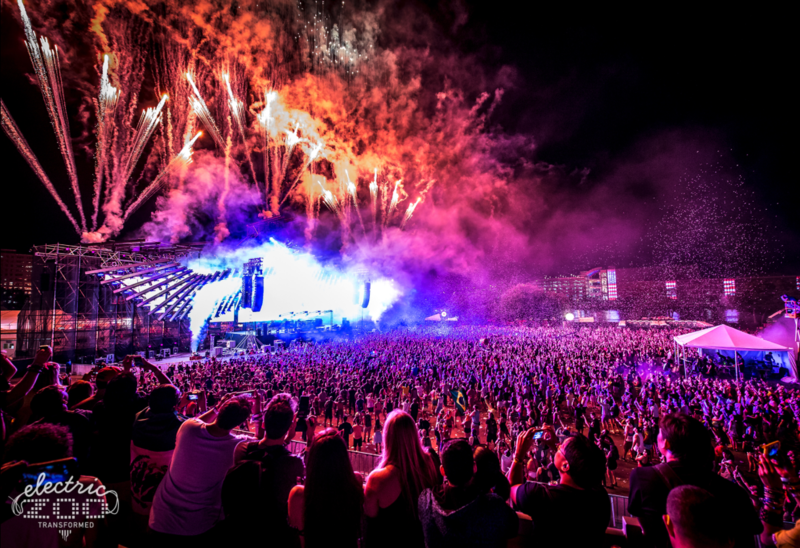 This is the second year that Electric Zoo attendees will have the option to purchase VIP tables online via Tablelist, and the company is excited to offer convenient and transparent buying options from both web and mobile. VIP area and tables are available only for those 21+. For more information or table bookings visit https://www.tablelist.com/venues/electric-zoo or email hello@tablelist.com.